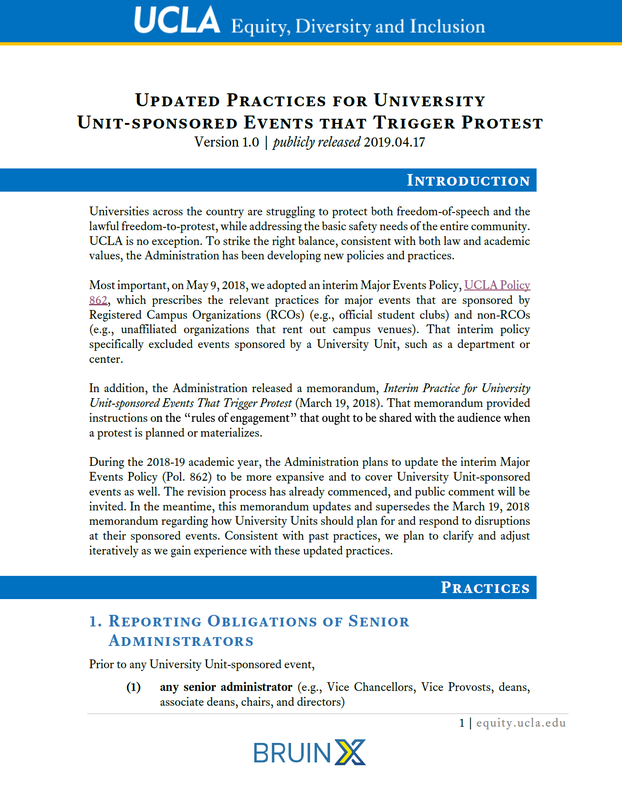 Navigating a university as large and complex as UCLA can be daunting. 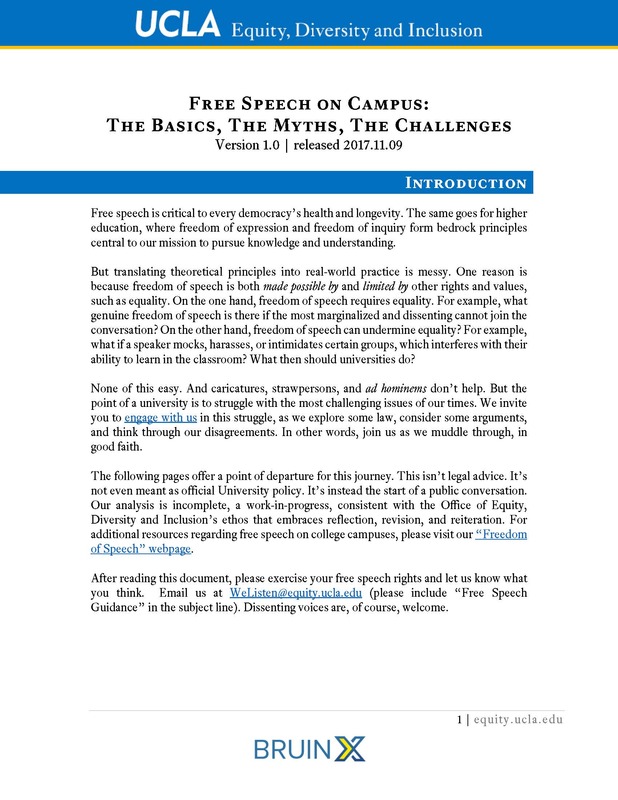 It’s therefore no surprise that we often receive inquiries about how to approach various topics – ranging from classroom management and inclusive pedagogy to freedom of speech and Proposition 209. Often, you’ll be able to find responsive information on “Know”, our clearinghouse for helpful facts and resources. 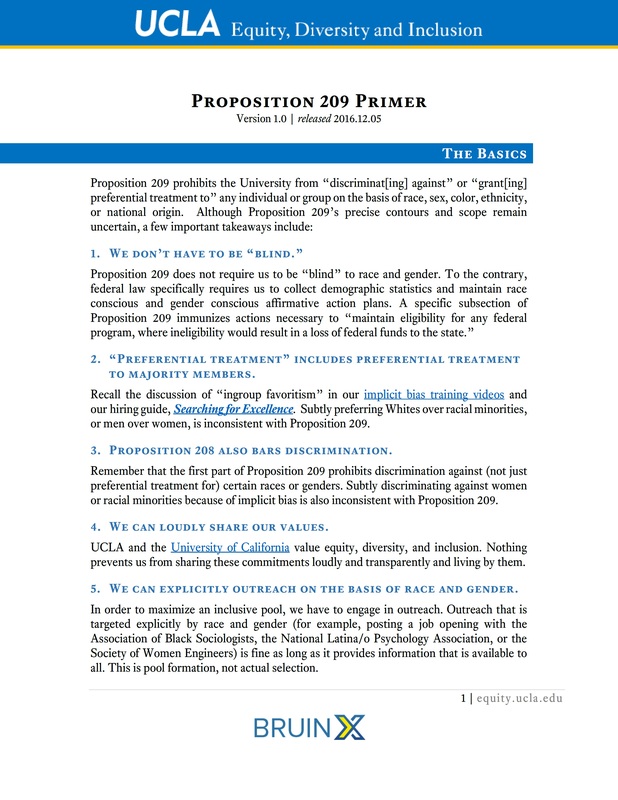 But sometimes all you want is a set of clear and concrete best practices. If that’s what you’re after, we suggest you start here, a page dedicated to EDI guidance documents. 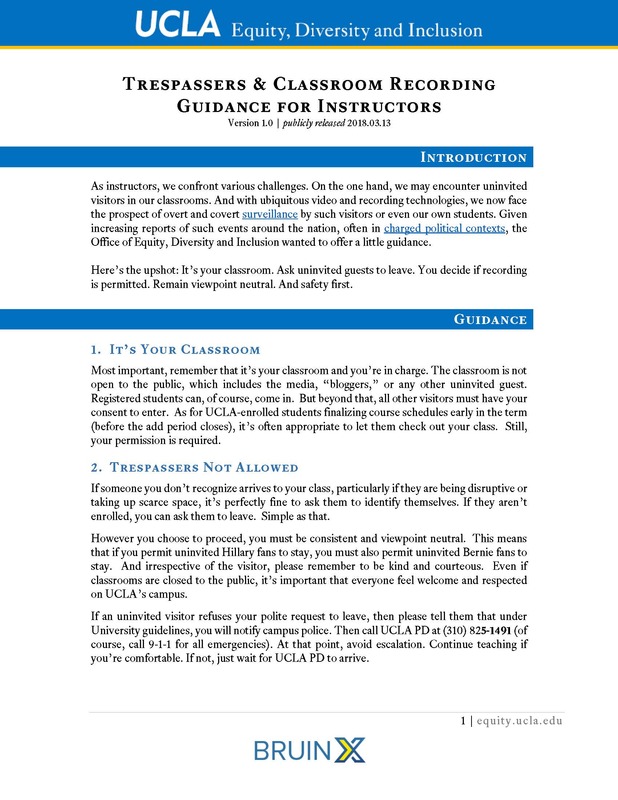 Whenever we produce a new guidance document, we’ll add it here. In the meantime, we’re always interested in your feedback. 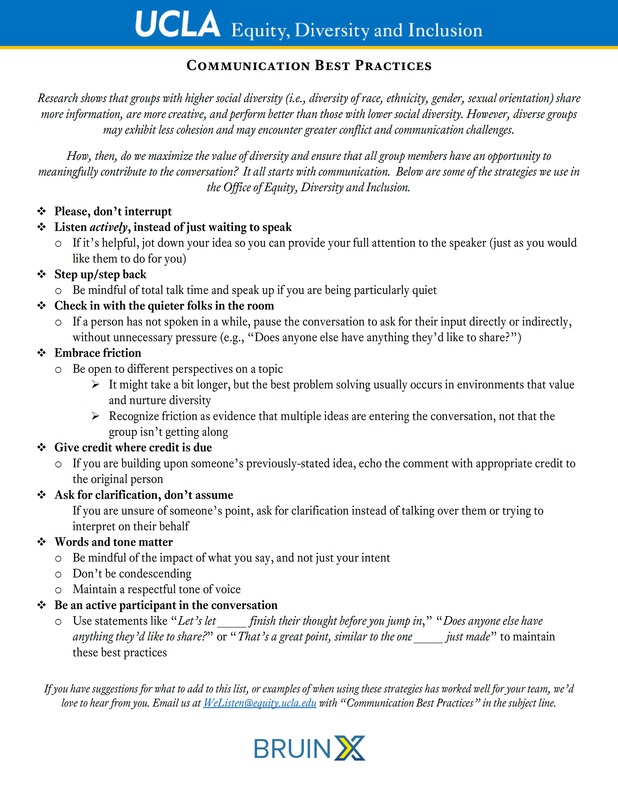 And if you’d like guidance on a topic that’s not yet listed, let us know with an e-mail to rklibaner@equity.ucla.edu (please include “Guidance Document” in the subject line). 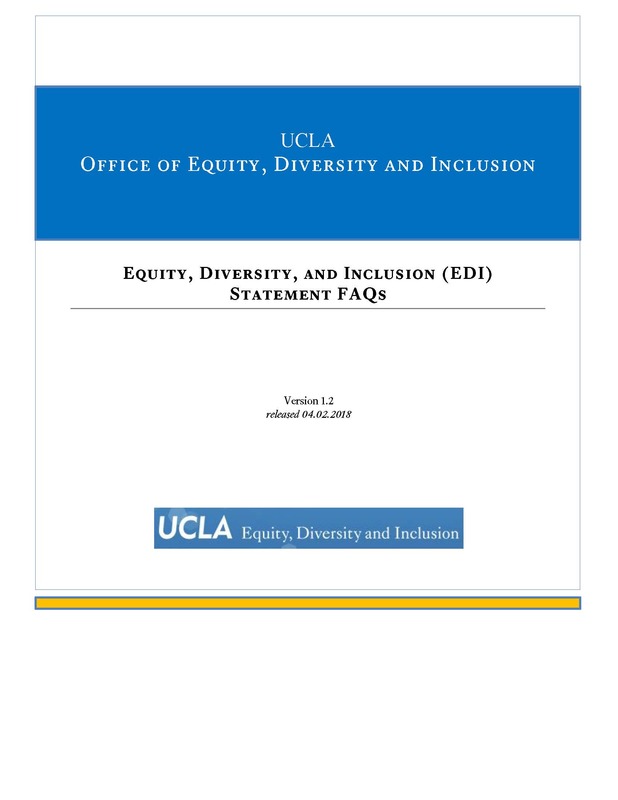 This guidance document answers several FAQs regarding the “EDI Statement,” which describes a faculty candidate’s past, present, and future (planned) contributions to equity, diversity, and inclusion. The statement can be submitted as part of the candidate’s application for hire or promotion along with, for example, the CV, research statement, and teaching statement.